The product we offer is Juices, which is the best as this is quality tested under the stringent guidelines of our quality analysts in a very hygienic condition. Uncontaminated and safe, these are fabricated from fresh and finest of organic fruits sourced from reputed farms. Apart from their refreshing taste, aroma and flavor these are in high demand also due to their medicinal values. Some of the available varieties are Karela (bitter gourd) Juice, Amla Juice Concentrate and Syrups . Industry leading price and tamper proof packaging ensures our customers value for money. Keeping in mind the ever-evolving requirements of our clients, we are devoted towards offering an optimum quality range of Murti Amla Juice. 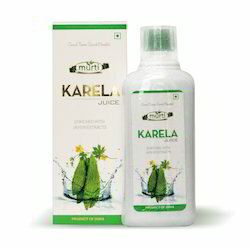 We are a unique name in the industry, devoted towards offering the best quality range of Murti Karela Juice to our clients. 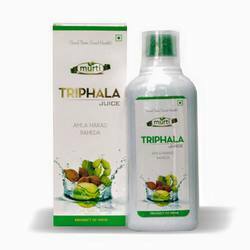 With our expertise and trustworthiness, we are engaged in offering an optimum quality range of Murti Triphala Juice to our clients. 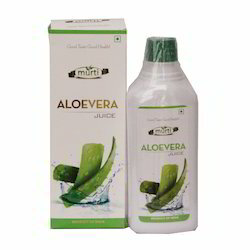 Owing to our enriched industrial experiences, we are devoted towards providing a wide variety of excellent quality Murti Aloevera Juice to our clients.